Love it or hate it, most students now have cell phones. Wirefly, a retailer of cell phones and wireless plans, released its annual Top 10 cell phones for students heading back to school. Factors considered included affordability, popularity and functionality. 1. LG Vu CU920 (AT) - Touchscreen phone with a 2.0 megapixel camera/camcorder, virtual QWERTY keyboard for email and text messaging, expandable memory, and AT Music and MediaFLO for watching videos and listening to music. Pricing: Free for current or new AT customers. 2. 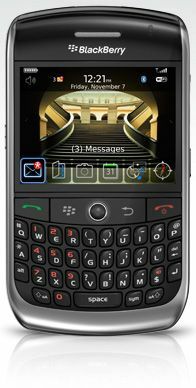 BlackBerry Curve 8900(AT T-Mobile) - Includes a 3.2-MP camera, WiFi, GPS, full HTML internet browser, MP3 player. Pricing: Free for new AT or T-Mobile customers. 3. LG enV Touch (Verizon Wireless) - Messaging device with advanced multimedia capabilities, a full HTML web browser, an enhanced music player, and a 3.2 megapixel camera/camcorder. The 3" external touchscreen flips open to display a twin 3" display and QWERTY keyboard. Pricing: $99.99 for new Verizon Wireless customers. 4. Sidekick Slide (T-Mobile) - Features compact design with a sliding screen that reveals a full QWERTY keyboard. Includes MySpace mobile experience, text and picture messaging, email, always-on instant messenger, 1.3 megapixel camera. Pricing: Free for new T-Mobile customers. 5. BlackBerry Curve 8330 (Sprint) - Brings the Curve to CDMA networks for the first time and provides on-the-go email and calendar solutions for students. Includes a 2.0 Megapixel camera, GPS, media player, voice dialing and stereo Bluetooth. Pricing: Free for new Sprint customers. 6. LG enV3 (Verizon Wireless) - Slim flip-phone with QWERTY keyboard. Also includes auto-complete, instant reply, stereo Bluetooth compatibility, a music player and support for V CAST Music with Rhapsody and V CAST Video, and 3.0 megapixel camera/ camcorder. Pricing: Free for new Verizon Wireless customers. 7. Samsung Impression (AT) - Uses the nation's first AMOLED (Active-Matrix Organic Light-Emitting Diode) display. 3.2" touchscreen, 3.0 megapixel camera/ camcorder, full, slide-out QWERTY keyboard, Video share. Pricing: Free for current or new AT customers. 8. LG Xenon (AT) - Touch screen, messaging-centric device featuring slide-out QWERTY keyboard, 2 megapixel camera/camcorder, and Video Share. Bluetooth v2.0 compatibility and voice-driven menu navigation and dialing combine for a hands-free experience. Pricing: Free for current or new AT customers. 9. Samsung Behold T919 (T-Mobile) - TouchWiz user interface, drag-and-drop widget technology, 5-MP camera, expandable memory, video capture, and voice-controlled menus. Pricing: Free for new T-Mobile customers. 10. Motorola Rival A455 (Verizon Wireless) - Messaging-centric phone with one-touch access to applications, a partial touchscreen and a slide-out, back-lit QWERTY keyboard, 2.0 megapixel camera/camcorder, and hands-free options including Bluetooth, speakerphone and voice commands. Also equipped with V CAST Music with Rhapsody, V CAST Videos, mobile web, expandable memory, and a music player. Pricing: Free for current or new Verizon Wireless customers.